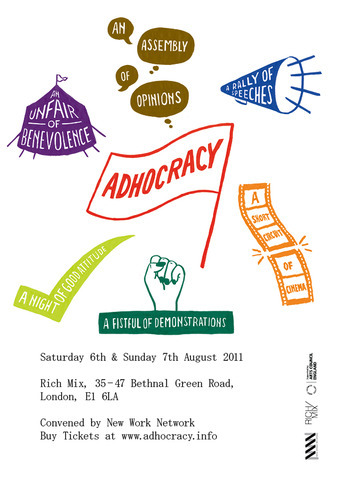 A speech at Adhocracy! convened by New Work Network about the politically motivated printshop collectives that proliferated in the UK in the 1970s and 80s. These were not ‘printmaking’ workshops for ‘limited editions’ but places to cheaply produce alternative critical media. Founded by anarchists, artists, lefties and feminists, the focus is on the printshops’ connection with the changing politics of women’s liberation. Fellow speakers were David Curtis & Biddy Peppin (London Arts Lab), Illona Halberstadt (Scratch Orchestra), Kate Hudson (CND), Marlene Smith (Blk Arts Group), Simon Watney (Outrage). Moderated by Dr Andrea Phillips, Reader in Fine Art, Goldsmiths, University of London.